1. 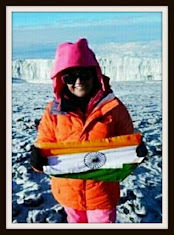 Gauri Prashar Joshi is a 2009 batch Odisha cadre IAS. 2. 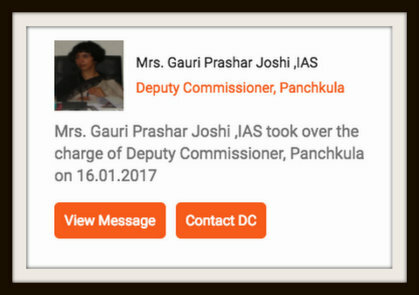 She has been the deputy commissioner of Panchkula since mid-January this year. 3. Earlier, she had worked as a director of Haryana Tourism. She also worked in the housing board of Panchkula. 4. She has currently been on a deputation to Haryana cadre. 5. In Odisha, she had worked as sub-collector in Kalahandi district and then the project director in District Rural Dev Agency (DRDA), Kalahandi. 6. The 36-year-old IAS is a graduate from St. Stephens college, and is a post-graduate in English literature from Delhi University. 7. The officer also completed a course on journalism from the Indian Institute of Mass Communication, New Delhi. 8. She cleared the Civil Services Examination, 2008, and secured the All-India Rank of 60 qualifying for IAS. 9. She is married to a Haryana cadre IAS — Ajit Balaji Joshi of 2003 batch. He is the deputy commissioner of Chandigarh. 10. Her father was an influential bureaucrat in Haryana and worked as the chief adviser of former Haryana chief minister Bhupinder Singh Hooda. Why is it that IAS officer’s are always hogging limelight without doing much. They are being depicted as larger than life whereas ground position is their performance is ordinary and routine. Correct and true facts need to be stated.